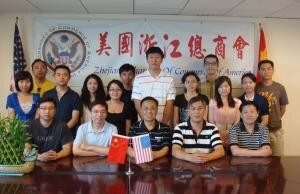 American Trading Handbook is supported by ZCCA, American Import & Export Association, and many other organizations. The purpose for writing this handbook is to promote the economy in the community, encourage new immigrants to start their own business, provide assistance for small business owners, and attract Chinese enterprisers to trade in the U.S. This handbook is in a total of 10 chapters, about 40 thousand words.